Pitchers and catchers reported February 15, 2017 for the Washington Nationals and the rest of the team reported on the 18th to prepare for the opening day, which by the way is just about a month and a half from now. So the sound of “Play Ball” is not too far off. I have to admit I am a huge Washington Nationals fan. Growing up in Maryland, I was an avid Baltimore Orioles fan, listening and watching the games with my grandfather. I was actually at the ballpark when Cal Ripken Jr. played his 2,500th game. Did you know Cal played all 21 seasons of his career with the Baltimore Orioles? He became known as the “Iron Man” of Baseball after he broke Lou Gehrig’s record of 2,130 consecutive games with the game he played on September 6, 1995. He had not missed a single game since May 30, 1982. He ended his streak in 1998 at 2,632 consecutive games played. Now that is total dedication to something you love. He was of course inducted into the Baseball Hall of Fame in 2007; most deservingly so. But then along came Stephen Strasburg drafted to the Washington Nationals. I started really following the Nationals at that point. He made his debut in 2010. I was what you might call a closet follower. As a matter of fact, my husband never knew I was a Nationals fan until about 4 years ago when he suggested we go to a Nationals game and then I had to come clean and admit I had been secretly following the Nationals and watching and listening to games when he was at work and really whenever I had a chance. He wasn’t quite sure what to think when we went to that 1st game together when I could quote stats and talk about other players in Baseball and actually knew all of the rules. So then an out of the closet love for the Nationals began for Bike Homes. Of course the Nats have added many superstars over the years that we also love. So you might wonder what does this all have to do with notes? Well baseball is a lot like notes in that it takes a team to be successful and every note is a game waiting to be played. Yes, there are a lot of great individual players, but no one position or individual wins a game. In fact, the team as a total entity wins and well loses games. This is the same in the Note business. We have many players who help make up the positions on our note team. I would have to say in our business Stacey and I are what I would like to call the managers of the “team.” We have many positons or players who help us make our notes business successful. This article will talk about those positions we think are critical to the success of our note business. The note seller is a very important part of the Note team because without them, you will not have any notes. These providers could be in the form of banks or hedge funds. We at Bike Homes reach out to banks and hedge funds on a regular basis to find non performing 1st lien assets that they need to remove from their books. We typically receive the list of assets on a tape from the banks and/or hedge funds which we break down through our detailed due diligence process to then place bids on the assets that will be most profitable for our business. We typically buy these assets at deep discounts from 30 to 60% off Fair Market Value (FMV) so that we can score a run with each asset. The Note Sellers are like the pitchers on our team, pitching us the notes they want to remove from their books. The title company is a key player in our detailed due diligence process. We reach out to the title company to provide an Ownership and Encumbrance (O&E) report on the properties we are interested in purchasing once we have completed our initial due diligence. The O&E report, sometimes referred to as a Current Owner Search provides details including all liens, mortgages, judgments, and tax status on the property from the last property purchase to current date. In addition, some companies also provide bankruptcy, tax delinquency status, and a copy of the current owner deed. This information is critical to ensure that the name on the mortgage is the same as the one on the title. If a property doesn’t have a clean title, it will cost you time and money to go through and do the work to correct the title issues. The title companies are like the outfielders on our team and are there to help protect us from something going over our heads. Attorneys and/or Lawyers are involved in the documentation aspect of the business and are especially important in the foreclosure process. 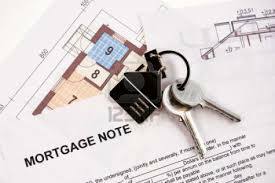 The Attorneys draft the necessary contracts paperwork for the foreclosure process. In addition, they keep your note business operating within the law. They may review and/or draft all of the business documents from any agreements necessary to collateral files to help you through the process to foreclosure if necessary. We consider this part of our team like the Umpires who are always keeping us playing by the rules in the notes business. In the notes business Servicers are used to perform borrower out reach. In addition, depending on the type of servicer, they may collect loan payments, manage the attorney for a foreclosure, help liquidate an REO, or even aid in the sale of a re-performing note. Servicers walk both the business owner and borrower through all of the steps in the note process. Servicers can do the calling, mailing letters, and potentially knocking on doors all to reach out to borrower. They can collect the payments from the borrowers as well. They help create a win-win situation for both us and the borrower. Servicers are like the infielders keeping things from going into the outfield, keeping the ball or property close to home plate. The collateral Custodians hold the paperwork for a specific note. They are the safe keepers of the paper behind the notes. Some companies also review the files to ensure that everything is in order. They are like the bat boys keeping the bat safe until it is needed. Realtors help provide the Broker Price Opinion and comparables for a piece of property. We often have the realtors drive by and take pictures of the property so that we can see exactly what the property looks like before we purchase the asset. The realtors are valuable in the due diligence process. In addition, they could also be a valuable part of the business if a note needs to be foreclosed on and the property becomes a Real Estate Owned (REO). The Realtor could help sell the property if necessary. It is critical to have a Realtor in the town that the property is located because they will have the knowledge of the area. The Realtor is like the short stop who gathers information and doesn’t let anything get through the hole. Obviously, the property owner is the actual borrower or homeowner. We try to work with them to create a win-win situation for all parties involved. Our goal is to keep the borrower in their home if at all possible. This may come in the form of a loan reinstatement or loan modification. The borrower could also do a deed in lieu or short sale if they are willing to work with us, but just can’t stay in their home. If the borrower isn’t willing the work with us, then they strike out just like in baseball and we then have to foreclose on the home. So, the property owner is like the batter who has a chance to score by staying in their home or striking out if they chose not to work with us. Our investors are very important to our business. These could be people looking to grow their investments through investing in real estate. Whether they are looking for a passive return on your money or a more active role in your investment, we have a wide array of investment opportunities available. We work with our partners to provide exponentially better returns they what they can earn through traditional investments such as the stock market, CD’s, savings accounts, or traditional IRAs. For those new to investing, we can help you get your Self Directed IRA set up and get started earning great returns. We work with each investor to understand their unique investment goals & strategies to achieve the greatest ROI for them. Investors are like the owners or sponsors of our team. They help make it possible to create win-win situations all the way around. All good teams have a great coach and we are no different. Bike Homes has a mentor/coach in Scott Carson so that we can continue to grow our professional knowledge, experience, and new approaches so that we are the best investors for our business. We network and learn from the best of the best while also networking with like-minded note investors to improve our Note Business and bring optimal returns to our investors. Our goal is to hit a home run with every asset, but that doesn’t always happen, but we still come out winners compared to other types of investing. How do we do this? Well, we are not locked into one (1) exit strategy when we purchase an asset so we can still have a great return and win-win situation even if we have to foreclose on a property. We have up to 9 types of exit strategies for anyone investment. During our due diligence process analyze each property to determine the best exit strategy to ensure they meet the investments parameters of our own portfolio and those of our Joint Venture Partners. I have dedicated several table talks to both due diligence and exist strategies, so be sure to check those out on our YouTube channel. 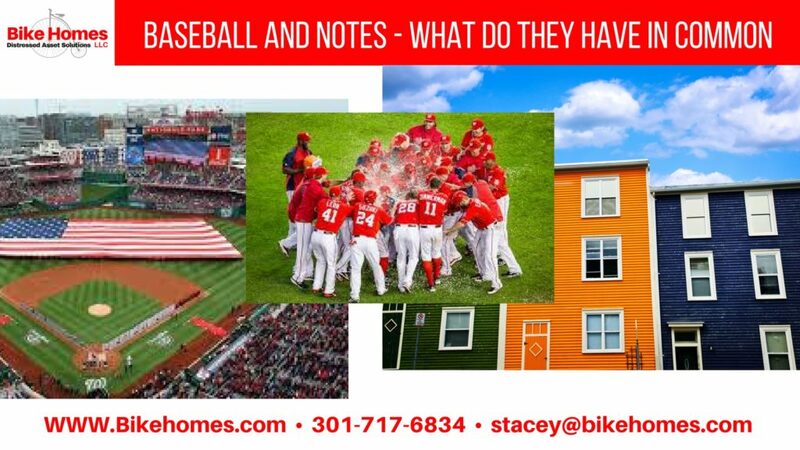 If you are interested in becoming a part of our team, I encourage you to reach out to us at: Stacey@bikehomes.com.